Reddit community made this weatherman a star in one day and he actually deserved to be the shining star. 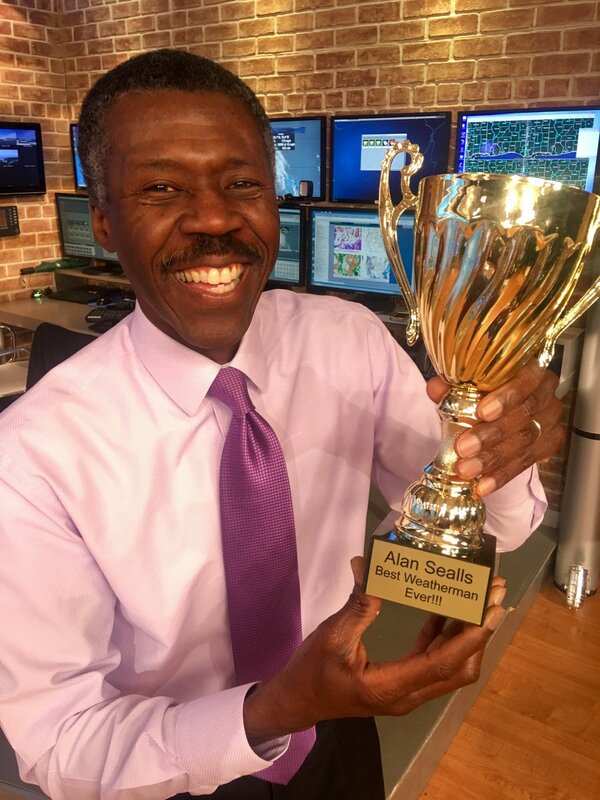 This weatherman is Alan Sealls, Chief Meteorologist at WKRG-TV, seen weekdays on News 5 at 5, News 5 at 6, the Gulf Coast CW News at 9, and News 5 at 10. He has three decades of experience in TV. Alan not only holds bachelors and masters degrees in meteorology from Cornell and Florida State, but he also has professional certifications from the AMS (American Meteorological Society) and the NWA (National Weather Association). Alan is a Fellow of the AMS- a distinction held by a small fraction of meteorologists. He actually won the cup of Best Weatherman Ever! Alan Sealls has written and produced three dozen weather videos for schools, distributed by Discovery Education throughout North America. Before arriving in Mobile in 1999, Alan was a meteorologist at WMAQ-TV in Chicago. Prior to that Alan was a meteorologist for 5 years at Chicago super station WGN-TV. While there, he was a meteorology professor at Columbia College in Chicago. He put up all confusing and difficult weather terms in so simple way anyone would understand. He really takes a lot of technical data and makes it understandable and interesting. He’s like the Neil Degras Tyson of meteorology.